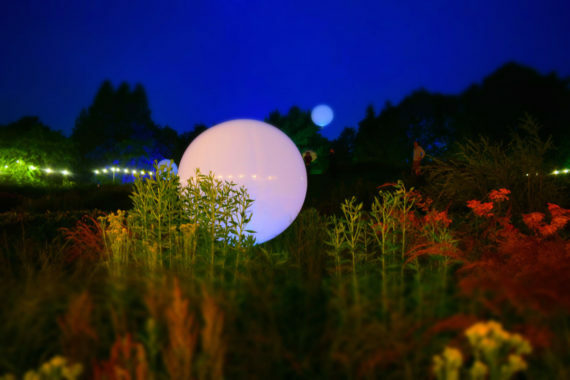 This year the Northern Festivals Network and Unlimited co-commissioned two disabled artists to make outdoor work that is interactive, intergenerational or participatory, to be shown across a series of different green field festivals. 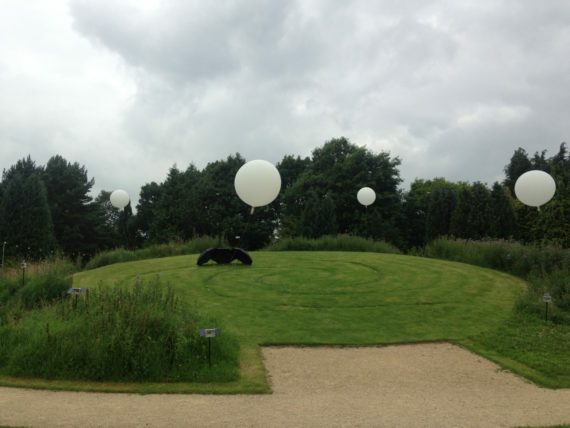 Artist and curator Aidan Moesby’s Between Stillness and Storm is the visual arts commission, created in collaboration with sound artist Tim Shaw. It is a location and situation specific installation that responds to the weather conditions in real time. The work is made of several components which form a common aesthetic of scientific instrumentation. 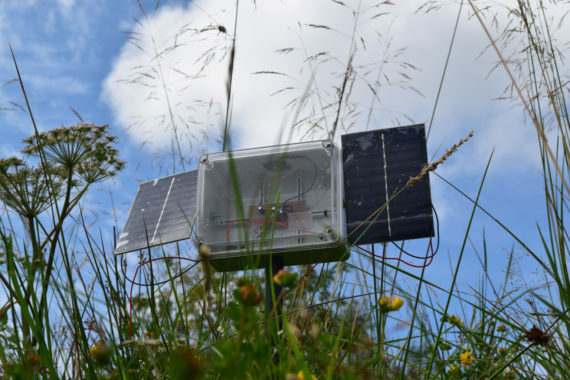 Solar sonics, which look like intriguing data collection instruments planted in the ground, chirp in direct response to the amount of sunlight activating the solar cells to power the synthesiser circuitry. 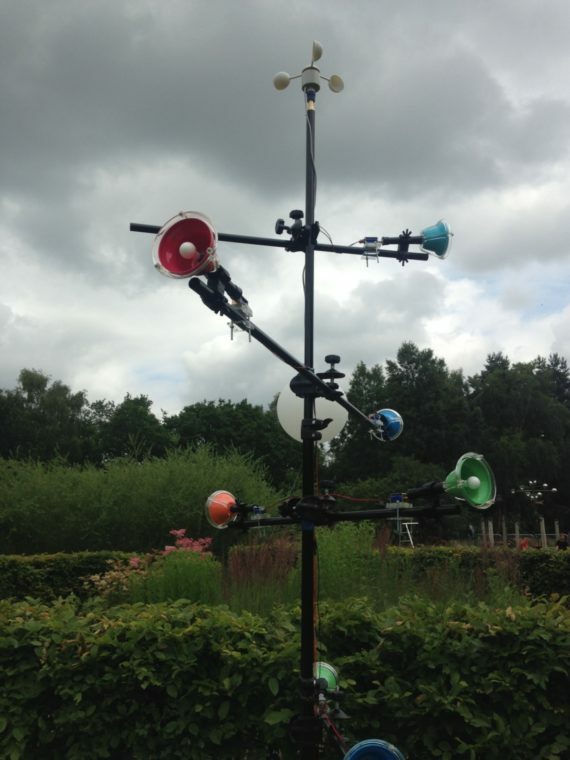 A ‘bell tree’ features an anemometer which spins to measure wind speed, regulating the speed of the chiming bells, while a flip-dot display unit scrolls through a preprogrammed library of weather related words and phrases. 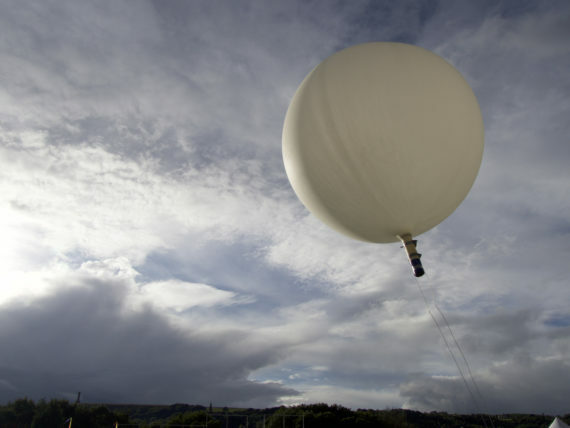 Weather balloons provide a focal point, gently swaying and bobbing in the breeze, often seemingly in time to the music on a nearby stage. 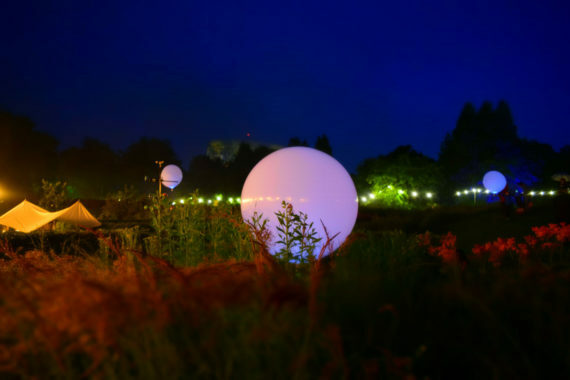 During the day, sunlight data is collected and then played out during the hours of darkness via an LED light inside each balloon, transforming them into glowing, pulsating, planet-like spheres. How was Between Stillness and Storm developed? I knew I wanted to work with the weather, it seemed appropriate for outdoor work. I found a collaborator, Tim Shaw, who I had previously commissioned to make a piece for ‘An ‘in’ with a Stranger‘, an exhibition I curated under the Tu Fewn Maker to Curator programme with DASH at the Llantarnam Grange Arts Centre. Tim’s Gust was a wind-responsive piece that I really liked, so when I was thinking about making more work about the weather he came to mind. Between Stillness and Storm was initially going to be a development of Gust using anemometers and sound. During the research and development phase that changed; we played around with ideas, tried different materials and the weather balloons eventually became the central architecture of the piece. How do you describe your practice and where does Between Stillness and Storm sit within that? My practice is all underpinned through conversation and generally wherever I am becomes a ‘live laboratory’. From being in that location and investigating that, I tend to make site or location responsive work. Some of it is within a disability context and some of it isn’t. Between Stillness and Storm changes at each location and whilst it’s about weather, it’s also the beginning of a conversation for me about climate change and wellbeing. I think that we are at a critical point where we have a dual crisis of climate and mental health. So this piece is an introduction to that, a kind of ‘climate change and wellbeing 101’. My work has previously been small and intimate – a kind of private spectacle. This certainly marks a change in the scale of my work, but it’s also changing its nature. From 2016, following the Unfixed residency with Unlimited, the Australian Network for Arts and Technology and Watershed in Bristol, I became much more interested in digital technology. My practice had traditionally been wholly analogue; letterpress was my thing, everything was hand made – [digital] was kind of this mythical thing. Following on from Unfixed I got a residency at Watershed’s Pervasive Media Studio where I’m learning an awful lot more about how digital technology can be used as a tool to support my work rather than being the work in itself. Between Stillness and Storm is an integral part of that development. What potential does the festival context hold for visual artists? I think the festival context for visual artists is a completely untapped field. Visual arts currently lies as a filler, rather than a thing in itself. Being at the end of my first tour I now understand where visual art is in the outdoor festival network and it isn’t very high up the hierarchy. To be brutally honest it’s at the bottom, it’s the first thing to get moved, or to go, or to not be attended. The focus is around the music and performance that brings the punters in. The next step is a dialogue about where visual arts fits into these kind of outdoor festivals in its own right, rather than just being a filler – then I think the potential is huge. A conversation around curatorial intent or context is needed. 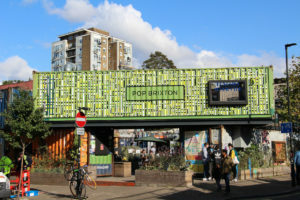 Work needs to be chosen to fit in with other work, curated well and thought about in a bigger sense, in connection to what the festival is about. This would increase the audience value and ensure that it’s respected in its own right as a feature of a festival. What do festivals offer as an opportunity specifically to disabled artists that perhaps traditional gallery spaces don’t presently? Traditionally, galleries don’t value visual arts by professional disabled artists. It’s very difficult to get into galleries, or get your work shown as a disabled artist. Festivals present the opportunity to access a different, and potentially huge, audience. Yes, that audience may not be the kind of audience who would go to a gallery, but then not everybody makes gallery-based work. You don’t know who is going to be at a festival. It might be other festival people, different organisations. I generally stand by my work and engage the public continually because those conversations are what interest me. Sometimes that’s as far as it goes, others may take you somewhere unexpected, or lead to something else. What has your experience of interacting with audiences been like over the tour? It totally varies. At Just So it was a lot of children, young people and families. At Cloudspotting there was a lot of ‘men with sheds’ interested in the technology. At some festivals the work has been located in very quiet, relaxing locations so those kind of situations engender calmness and reflection which ties in with the whole wellbeing agenda and helps to get those conversations going around climate change, mental health, wellbeing. The work is about external weather, but equally as important is the psycho-emotional weather, which is how we feel inside. Once you start talking and people realise it’s OK to talk about these things, then they start to open up. So you get a variety of people talking about feelings in a bigger sense, and agreeing that we should be talking about it. This leads to more and more people disclosing stuff, just by being given that permission to go there. It’s about having real, genuine, one-to-one conversations, where you are looking into each other’s eyes, you’re smiling, you’re doing all those non-verbal things, which are again about connectivity. It’s totally fascinating. 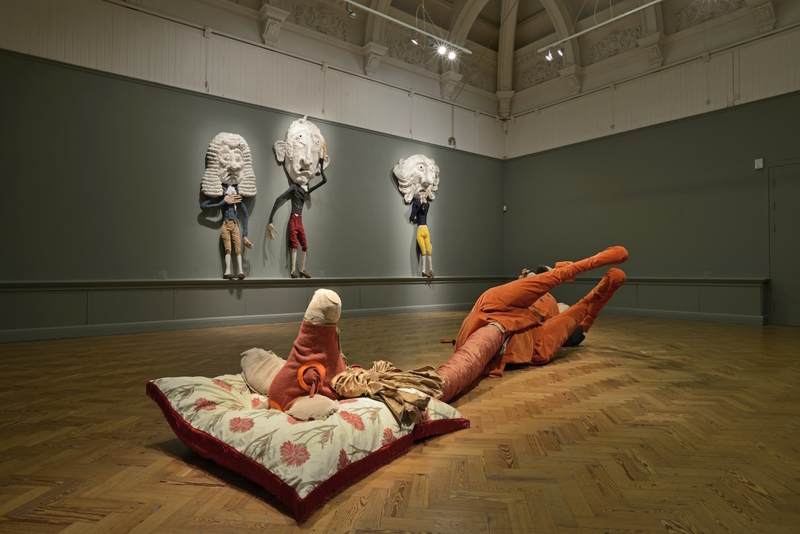 But it isn’t therapy – it’s just the ability to talk about how you’re feeling because something in the artwork has catalysed that conversation. The festivals have been really developmental for my practice. That ties in well with being commissioned for Lumiere festival in Durham in November [16-19], to redevelop an earlier work – which was originally mainly analogue – and transform it into a large-scale projected piece. More imminently, I am excited to be visiting the Met Office, made possible by an a-n professional development bursary. [I’ll be] getting right into the heart of weatherland, being shown the different technologies and what they all do, affording me time to go and do some concentrated research, accessing the archive, going to the Met library and talking to the staff. 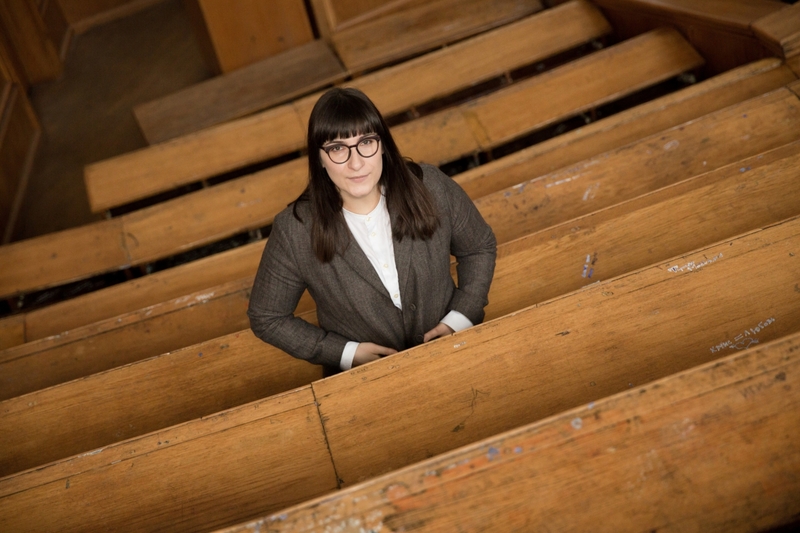 Also, blogging on a-n about the experience I have through the bursary will give me a stage to start writing about it and that’s another important part of my practice. It’s not just vocal conversations, it’s written conversations too. It adds another layer of connectivity, which ties in overall to my practice.